Winton brushes are made from good quality Chinese hog bristles and are hand-set into seamless corrosion-resistant ferrules. 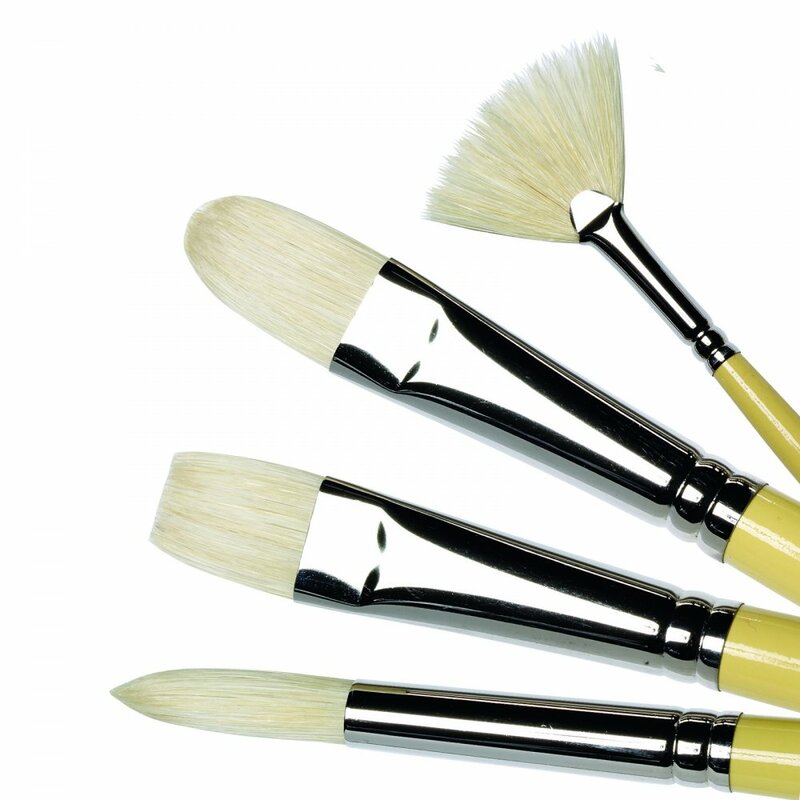 The natural curve of the hog bristle produces a resilient brush which retains its turned in shape even after heavy use, allowing the artist more control and accuracy, whether painting with oils, alkyds or acrylics. The solid wood handles have a green stained finish with five coats of lacquer which provide protection along with a smooth finish for ease of use. These brushes are excellent for the intended purpose, they are great quality and exactly what I would expect from Winsor & Newton.